Lynne is a one-man instrumental effort by keyboardist and electronics maestro Bjorn Lynne. An interesting mix of Alan Parsons, Wish You Were Here era Pink Floyd, and Tangerine Dream, Lynne creates a symphonic landscape that should appeal to both fans of electronic spaciness and flowing keyboard-oriented progressive. The ten songs on this disc are mostly in the 5 to 15 minute range, the longer works being the strongest as music like this requires more time to develop. Tunes like "Into The Void" and "All Life Is One, Part 3" are highly Parsons influenced, and even have a bit of a dance beat to them. Songs like "Electroglow", "On The Edge", "Relentless" and "The Nothing" are pretty strong in the Wish You Were Here department. Listening to the disc in it's entirety the music succeeds in stirring up images and lulling the listener along through a series of mood changes (all good). However, though I enjoyed the music I didn't find it particularly fresh or exciting. 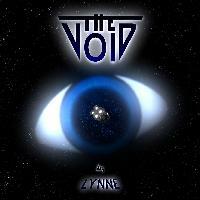 Lynne has a catalog of four previous releases, though I'm not sure how, or if, The Void differs from those efforts. Still, this is a solid, 70's influenced electronic work. You can visit Bjorn Lynne at his web site.